PERRYSVILLE, OHIO – Whether you’re in the mood to celebrate or wish to simply slip away into a peaceful retreat, having the option of Chromatherapy can enhance any bathing experience. “Sitting in an office space painted a shade of orange can energize some workers,” says Smith, chief color maven at Sensational Color. “Similarly, a person who is more sensitive to their surroundings will be calmer and thus more productive in a seafoam green office, because of how that color influences the space. 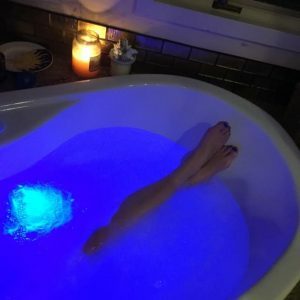 At the end of the day, when it’s time to relax in a whirlpool, or air bath tub, selecting a Chromatherapy color to match a mood — or help change it — can be a rejuvenating experience.